Ladies and gentlemen, words cannot possibly express the excitement I feel right now. 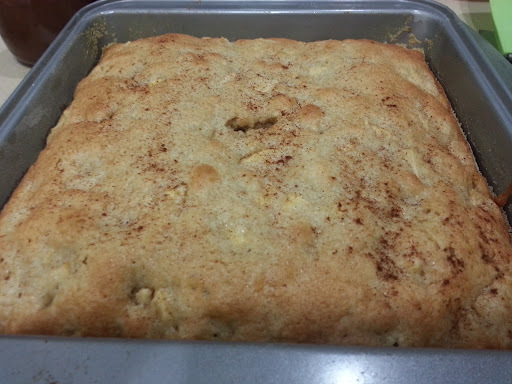 I, Melisa Robledo, baked an apple cake. 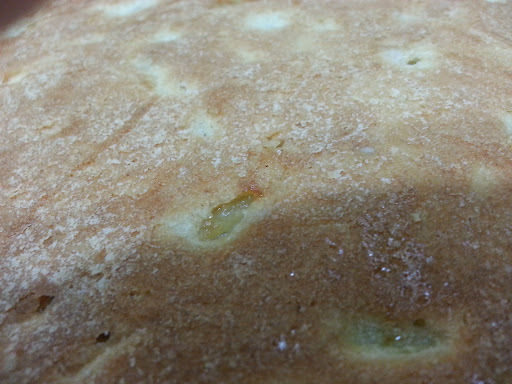 Yes, an apple cake. No, I did not use canned apples. I did it! This was my first time baking anything with apples in it. Also, I cannot forget to mention that I probably wouldn’t have tried this recipe if not for my friend Marie who has been insistent on me becoming familiar with some apple recipes. As I both love and slightly fear her, I began thinking of what recipes I would enjoy trying. Well guys, this recipe will not disappoint. I am in apple cake heaven and so is my ever-so grateful tummy. Before starting your recipe, you’ll want to peel, chop, and remove the pits of the apples. Don’t forget to chop the apples as chunky as you would prefer. 1. First, you’ll want to add the eggs and vegetable oil into a medium-sized bowl and mix them until well blended. 2. 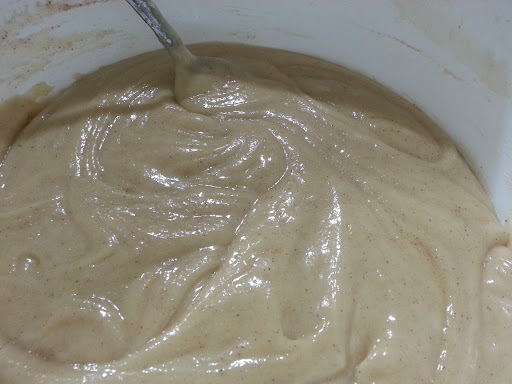 To the previous mixture, you will add your vanilla and sugar until all the ingredients are as smooth as butter (sadly, this recipe does not require butter but you could always spread some on a slice of freshly out-of-the-oven apple cake). 3. Now for the dry ingredients, sift your flour into the batter one cup at a time. Then add your cinnamon, baking soda, and salt. Blend all the ingredients evenly. 4. 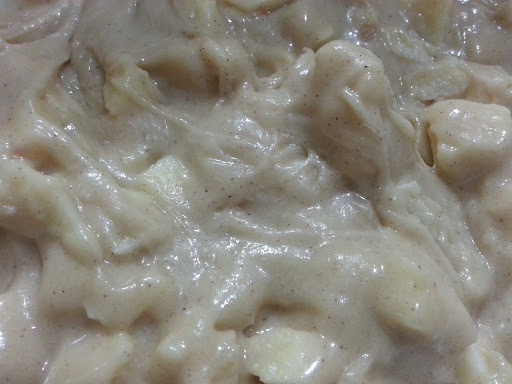 After all these ingredients are joined in harmony, you’ll want to add your milk and stir only until the milk is blended, then fold in the apples. Do not overmix or fold too roughly. 5. Baking queens and kings, I dare not constantly remind you to preheat your oven but The Basic Laws of Baking Rights oblige me to do so. Preheat your oven to 350 degrees. 6. Bake your cake for 30-45 minutes. I suggest you keep an eye on it; if it’s golden brown on the top it should be ready for your tummy. You know I’m not an apple lover but I must say that i loooooved this! I was just thinking about you! I love you tons and I’m so happy you love my blog. I’ll definitely keep in touch. Also, it is never to late to take the Michael’s courses! 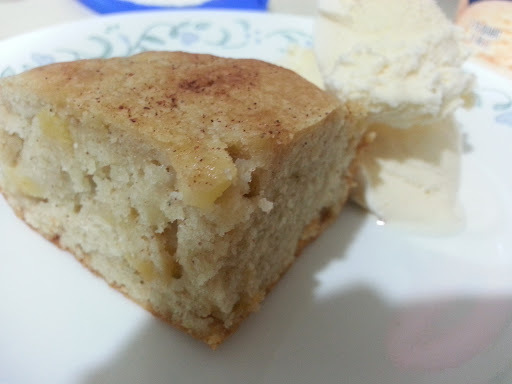 The apple cake looked moist and I do love them with cinnamon.